Drill-down into your data, slice-and-dice it by multiple dimensions, metrics, and attributes. Reduce time spent on finding information you need to make a merchandising, marketing, or business decision. 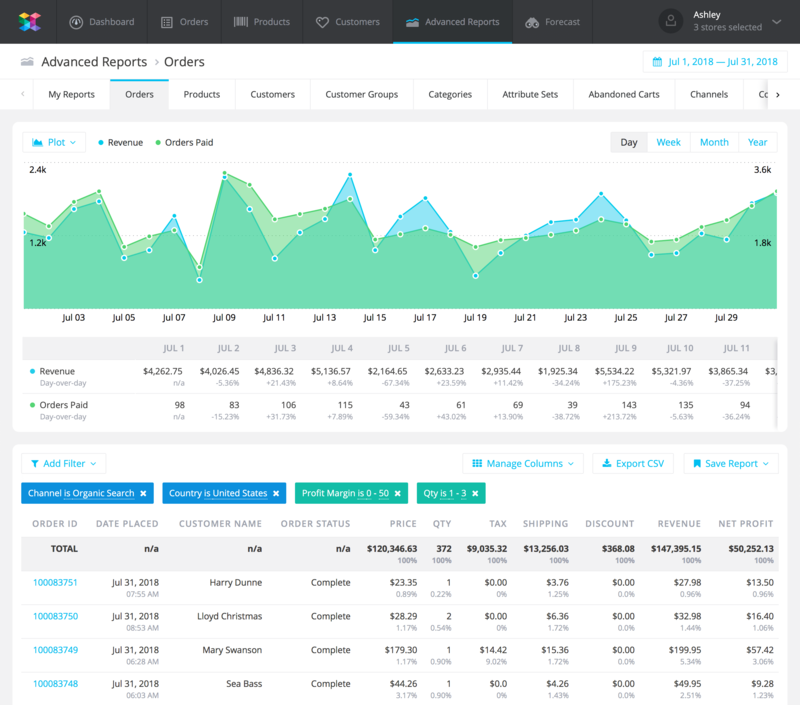 Advanced Reports is a collection of customizable reports, that let you look at your sales data from different perspectives. You can drill-down into your data through multiple dimensions. This enables you to see how your business is doing and uncover what’s influencing its performance the most. Drill-down into a product to see how it’s converting from different marketing channels. From there drill-down into a marketing channel to see which countries are bringing sales for a that product via that marketing channel. Pretty cool, right? 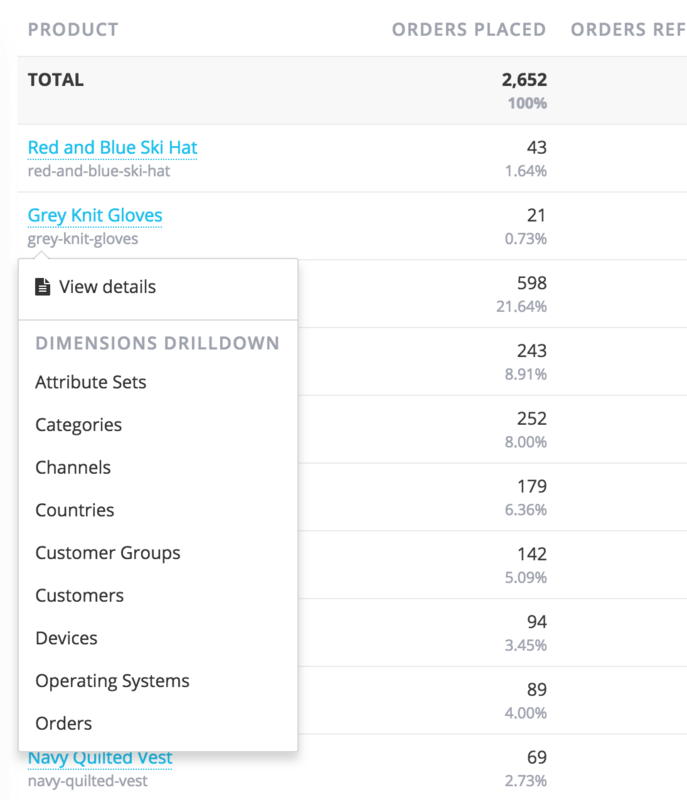 Filter your reports by dozens of metrics, attributes, and dimensions. Break though the data noise and get the insights that will actually help you better understand and run your business. 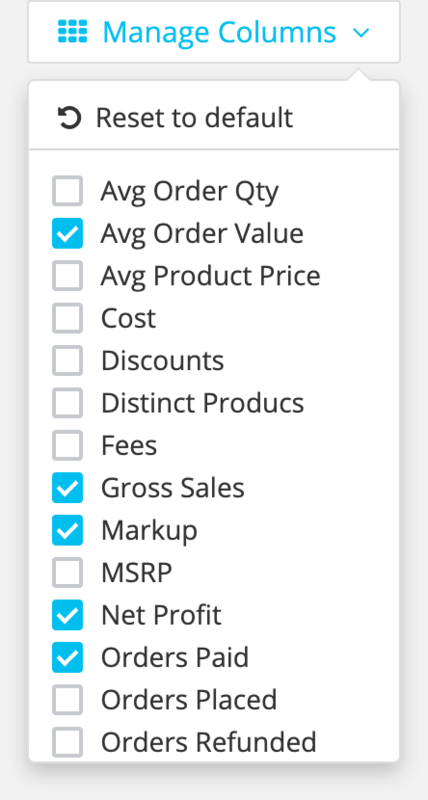 In addition to filtering, you can easily customize any of the Advanced Reports and select which columns you want them to have. 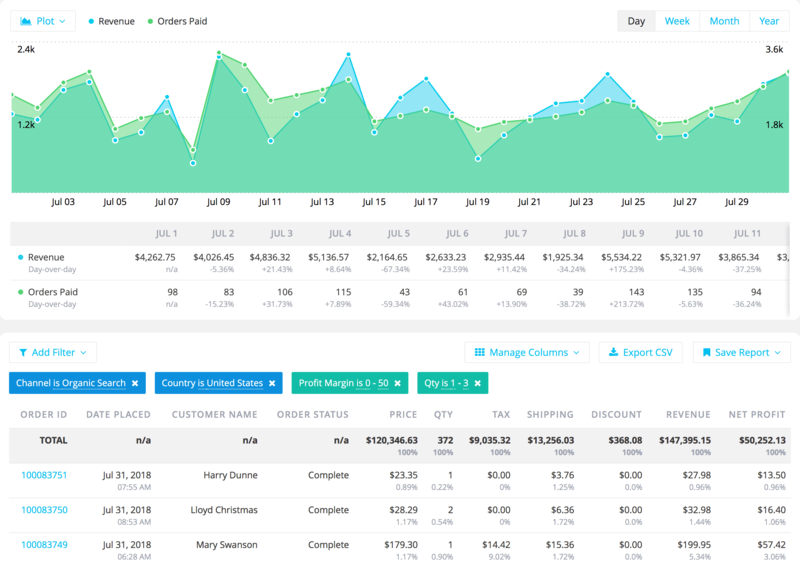 You can choose from a large variety of metrics and attributes that are being pulled from Magento, Shopify, Google Analytics, and PayPal. Once you’ve selected the fields you want your reports to have, and you’ve filtered it down to the desired level of granularity, you can export that reports into a CSV file and use this data elsewhere.